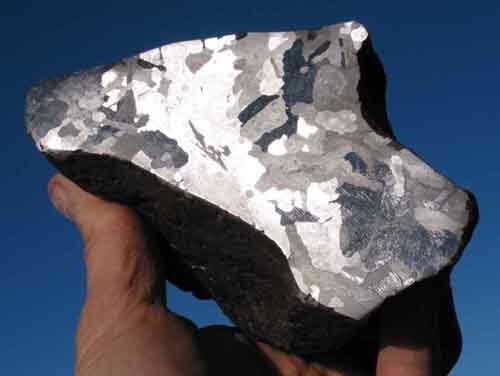 Iron meteorites are composed primarily of various alloys of iron and nickel (primarily kamacite and taenite). 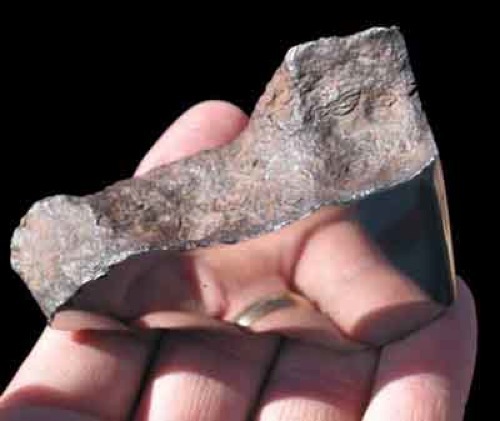 Iron meteorites are derived from the cores of ancient Planets that were destroyed around 4.5 billion years ago by catastrophic impact events during the formation of our Solar System. 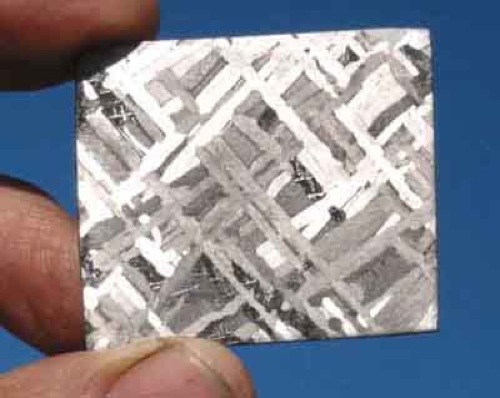 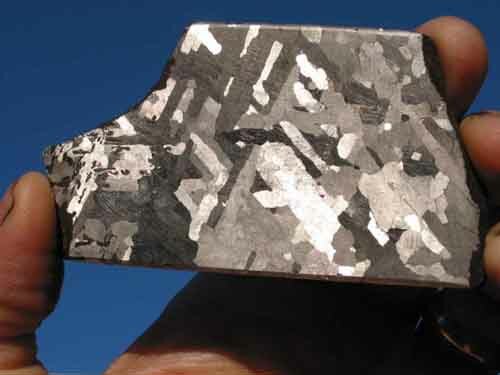 Most iron meteorites have unique crystalline structures known as "WidmanstŠtten" patterns. 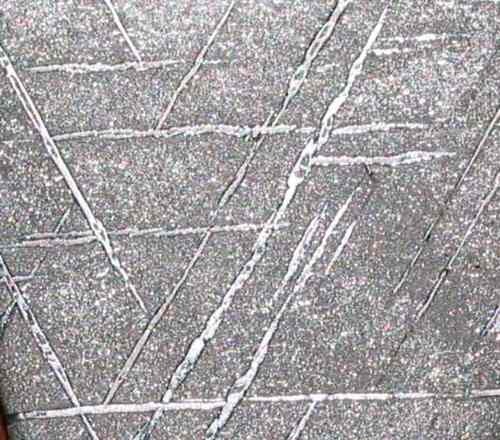 These patterns were named after the Austrian Count Alois von Beckh WidmanstŠtten who discovered these patterns in 1808. 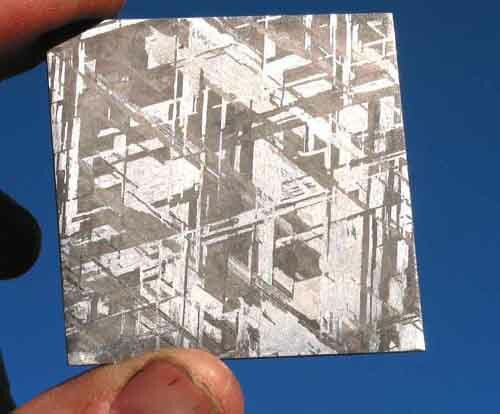 It is thought that the William Thomson actually discovered these patterns earlier and published his findings in 1804, however due to a variety of unfortunate events, Widmanstatten is more often credited with the discovery of these amazing patterns. 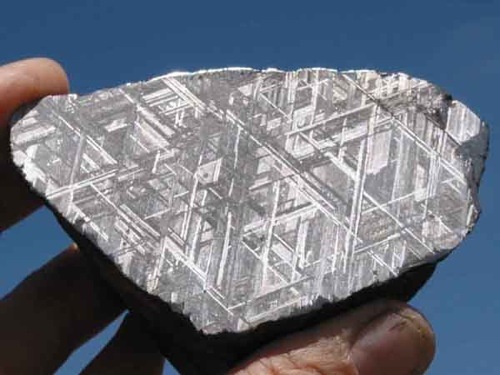 Widmanstatten patterns are formed by interwoven bands of kamacite and taenite, which can only form over literally millions of years of very slow cooling. 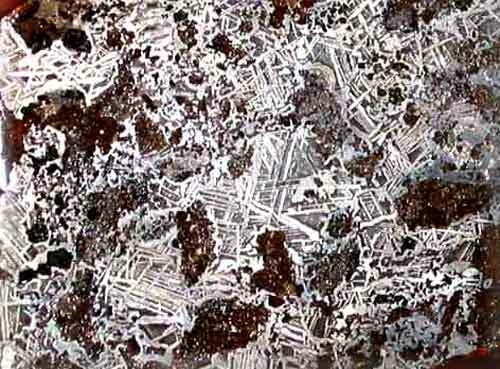 It has been estimated that it took about 1000 years for these molten remnants of planetary core to cool by just 1 degree Celsius! 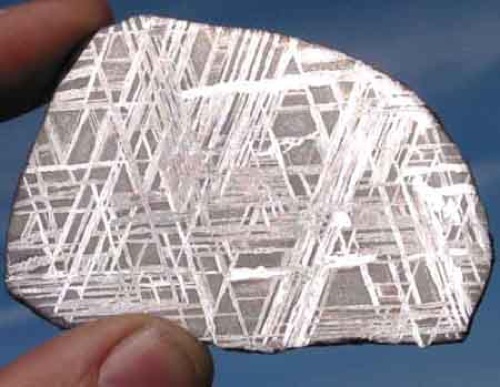 The beautiful crystalline patterns characteristic of iron meteorites are more than just beautiful oddities-they tell us about the meteorites compositions and how long it took for the planetary core from which the meteorite is derived to cool! 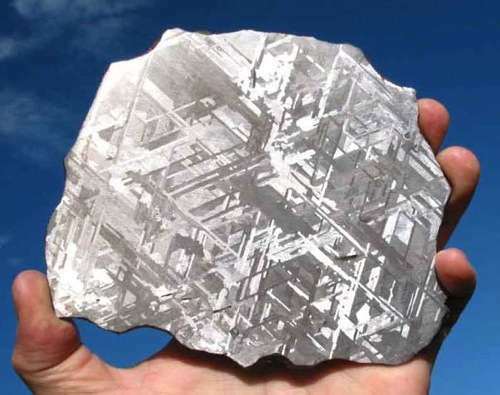 In general, the larger the crystals, the longer it took for the molten metal to cool. 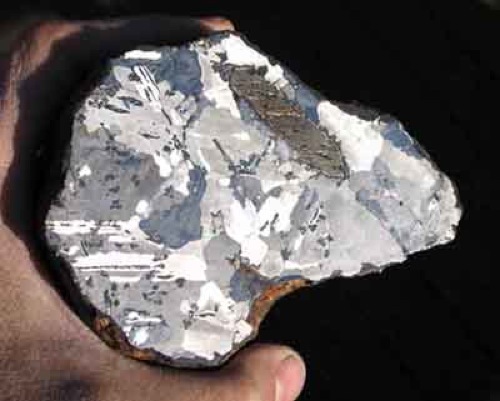 The size of the crystals is also affected by the nickel content of the meteorite. 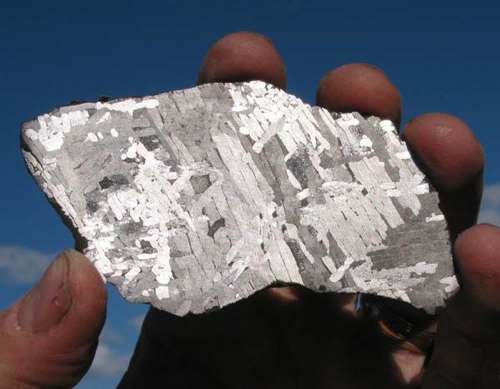 There are three classification schemes for iron meteorites. 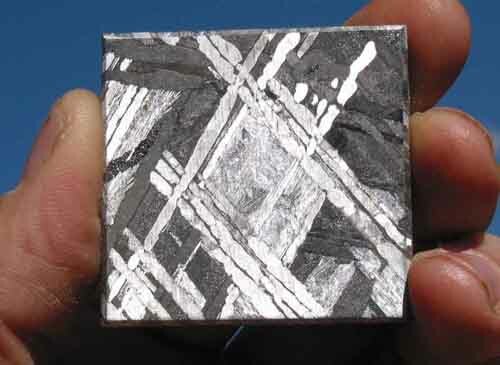 One is a structural classification scheme which is based on the width of the kamacite bands. 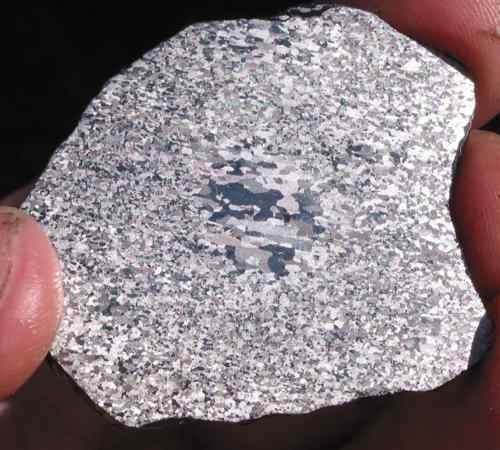 The other two methods of classification are based upon the chemical composition of the meteorite, including minor elemental composition. 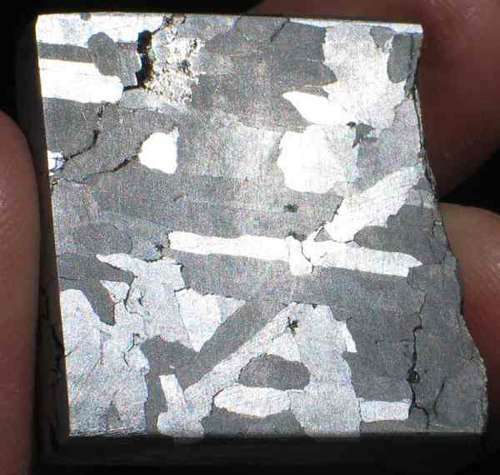 The original Chemical Groups are listed in the table below. 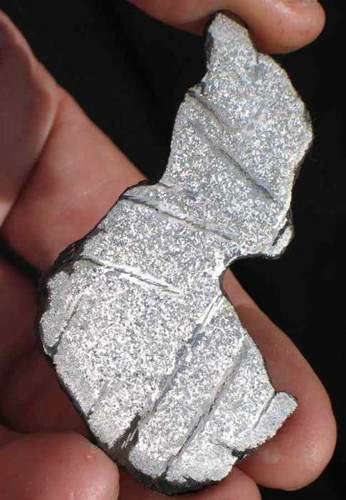 More recently Wasson & Kallemeyn, 2002 have re-classified the IAB and IIICD groups into one large group with many subgroups based upon their minor elemental compositions. 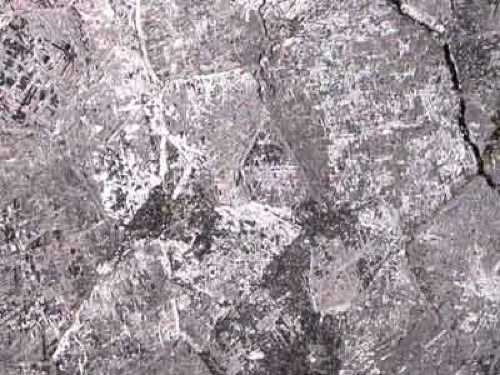 The following Table, which is modified from O. Richard Norton's "Rocks from Space", 1998, 2nd Edition, shows the traditional (pre-Wasson-Kallemeyn) structural and checmial classification systems. 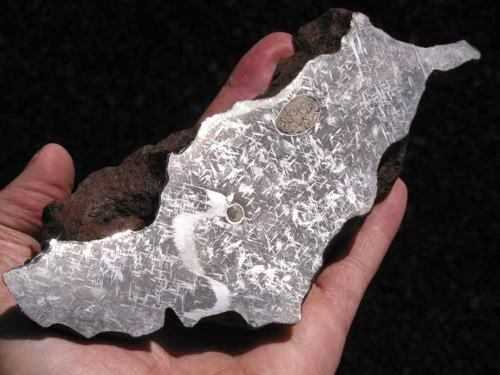 Below are photos of many different types of iron meteorite showing the remarkable variety of Widmanstatten patterns that are possible.